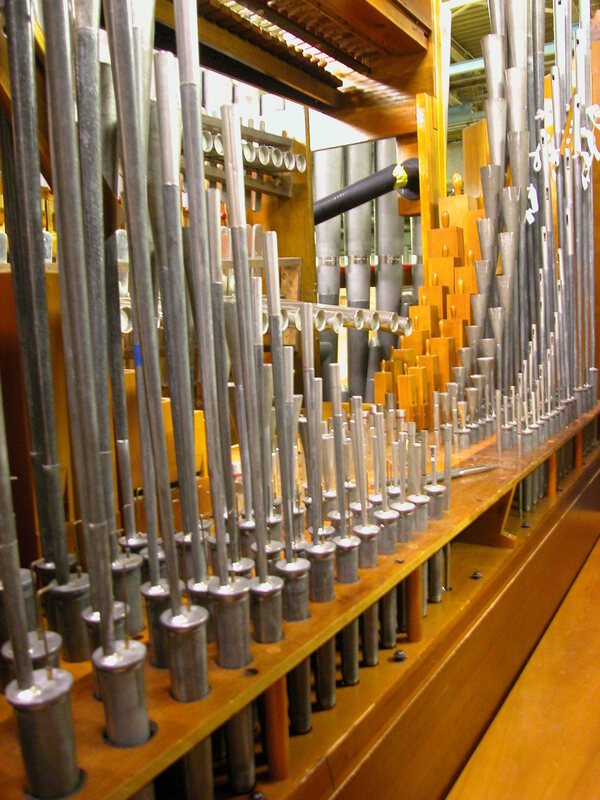 The organ assembled in factory. The restored console back in the theater. 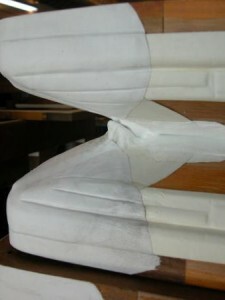 The console was originally wood colored, not painted. 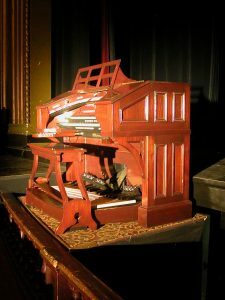 Buzard Pipe Organ Builders has completed renovations and restorations to the Wurlitzer Theater Organ from the Virginia Theatre in Champaign, IL. 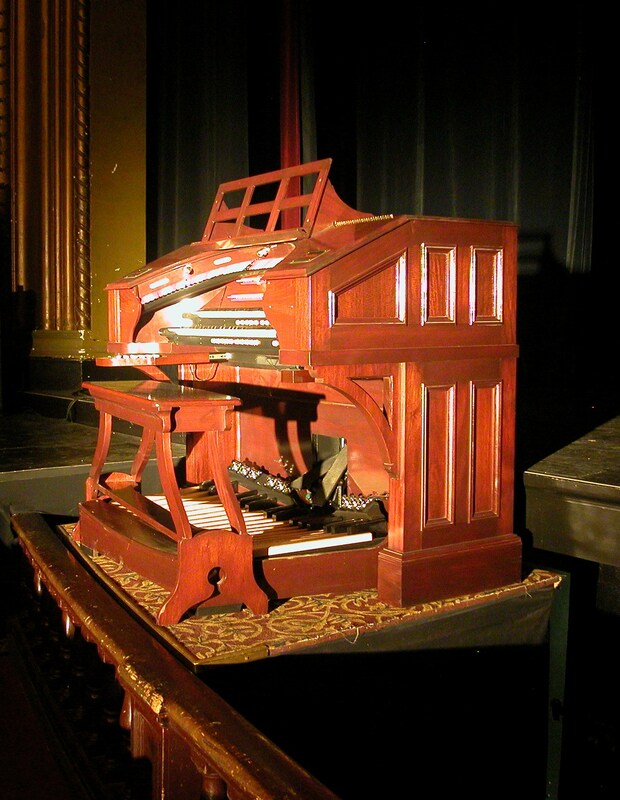 The Wurlitzer Style 185 was first installed without a Tibia, as was the fashion in 1921; as the Tibia color became an essential component of movie theater organ accompaniment sound, the owners had one installed by Wurlitzer in 1924; it is one of a precious few instruments still found in its original home. The organ was resurrected by David Junchen during his student days at the University of Illinois in the 1960’s, and more recently had been cared for by a group of volunteers under the leadership of the late Warren York, who was also well known for his playing of the organ, especially in his trademark red socks! 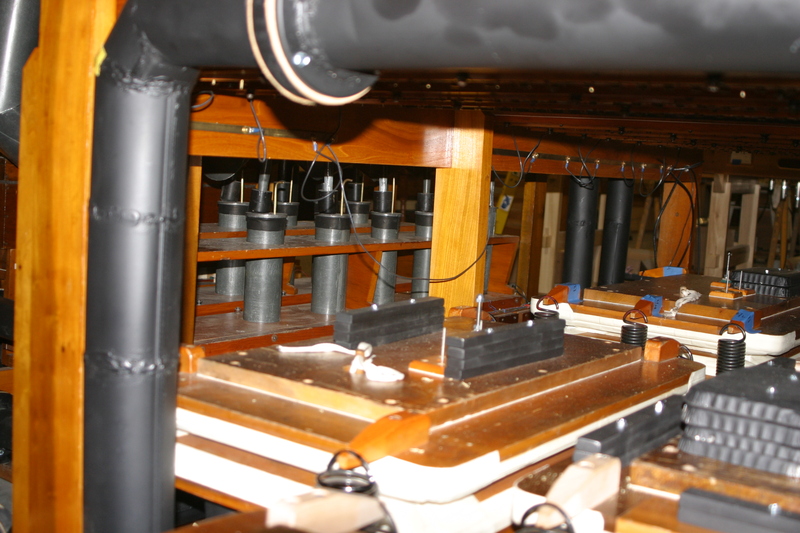 The present work consists of a complete component restoration of the existing mechanism, console and pipework, while the much altered relay was replaced with a new custom-built Peterson ICS-4000 system. 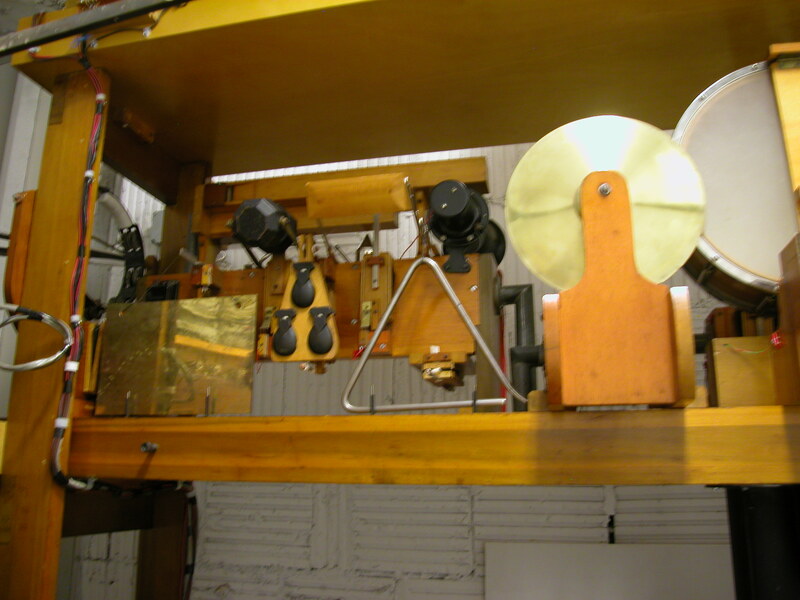 This system gives the organ MIDI capabilities, as well as a combination action, the original long since removed. 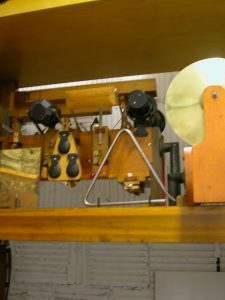 The remaining original relay parts is stored at the Theatre. 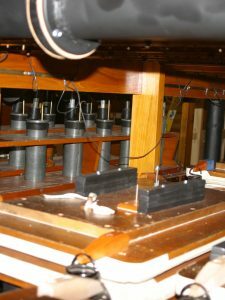 An exciting part of this project is the addition of two ranks of Wurlitzer pipework, an Orchestral Oboe, and an English (Post) Horn. 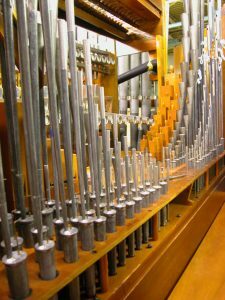 With these additions, the organ essentially becomes a Style 216, a real “jazzy” organ that was popular on the West Coast in the later 1920’s. 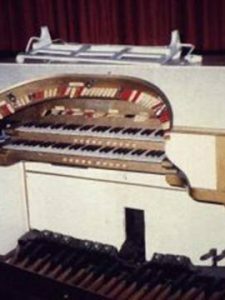 Much care has been taken to keep these additions in Wurlitzer style through the use of restored pipework, chests, regulators and tremulants. 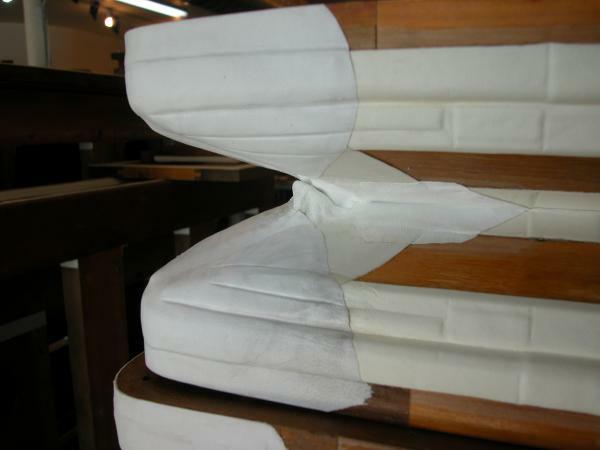 Following the organ’s restorations’ completion and re-dedication by the late Chris Gorsuch in 2012, the majority of the instrument was removed to the Builder’s workshop for secure storage during the Theatre’s complete restoration of 2012-2013. The organ was re-installed, regulated and tuned just in time for the Theatre’s re-opening, for the annual Roger Ebert Film Festival. 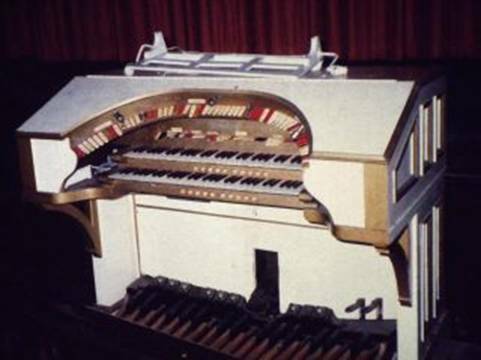 The instrument is now regularly played before feature movies and special occasions by Organist Dave Schroeder of Danville, Illinois.